Echo Canyon is a disappearing pocket of wilderness outside of Bend, Oregon, and the site of conflicting memories for Justin Caves and his father, Paul. It's now slated for redevelopment as a golfing resort. When Paul suggests one last hunting trip, Justin accepts, hoping to get things right with his father this time, and agrees to bring his son, Graham, along. Benjamin Percy, a writer whose work Dan Chaon called "bighearted and drunk and dangerous," shows his mastery of narrative suspense as the novel builds to its surprising climax. The Wilding shines unexpected light on our shifting relationship with nature and family in contemporary society. Benjamin Percy is the author of The Language of Elk and Refresh, Refresh. He has been awarded the Plimpton Prize and a Whiting Writers' Award, and has been included in Best American Short Stories. He teaches at Iowa State University. 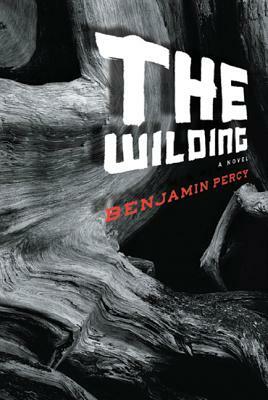 “Benjamin Percy's descriptive powers are so potent and evocative in this impressive debut that they sweep the reader out of his or her figurative armchair and into the Oregon wilderness, ready to fight to the death to preserve it.” —Helen Schulman, author of A Day at the Beach and P.S.